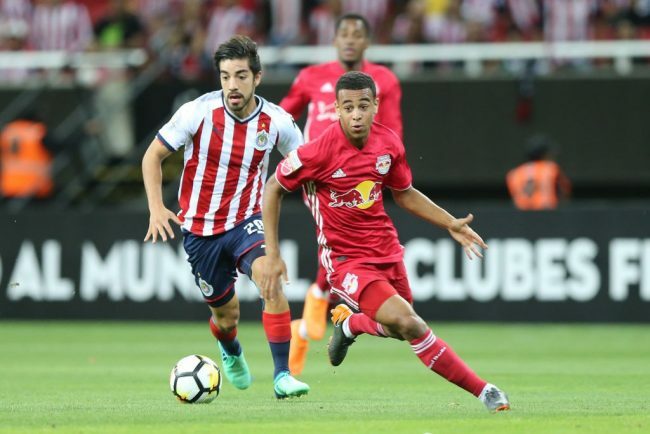 At just 19 years of age you may not have heard that much about him, but be very aware – Tyler Adams is a superstar in the making and he’s in familiar surroundings at RB Leipzig. It is no secret that the Bundesliga side have a Naby Keita shaped hole in their midfield, the Guinean left for English Premier League side Liverpool last summer and hasn’t been adequately replaced. After six months the Saxony club now feel they have filled that gap with the arrival of two new midfielders, both from the Red Bull football empire. Amadou Haidara arrives from Salzburg, while Adams follows the same path as Leipzig assistant coach Jesse Marsch, direct from the New York Red Bulls. 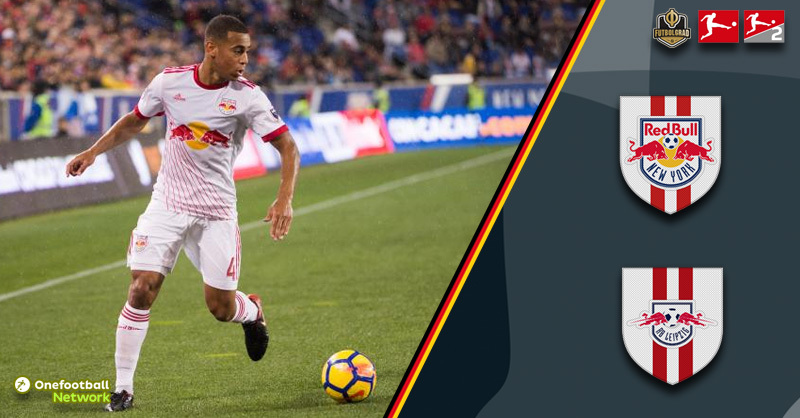 RB Leipzig head coach, Ralf Ragnick, wanted Adams as far back as September 2018, but the deal to bring the defensive midfielder to Germany could not be finalised until the New York side had completed their MLS season. For a man who normally gets what he wants, the wait for Adams’ services was a frustrating one. Leipzig have under-performed this season, primarily down to a lack of squad depth. Last season’s Champions League debutantes failed to live up to expectation in the Europa League – their campaign fizzling out at the initial group stage in December. The fact they were eliminated while Red Bull Salzburg succeeded – in the same group – only added fuel to a burning fire of underachievement. Simultaneously, their domestic form also suffered. In a season where Bayern München look rattled, Leipzig’s inability to punish the team that denied them a Bundesliga title at their first attempt has further compounded the situation. Currently lying in fourth place, 11 points behind Saturday’s opponents Borussia Dortmund, there will be an appetite to fight back now there is no European distraction. Adams already knows he will be thrust into the matchday squad to face the league leaders. Rangnick confirmed Thursday he is already a part of the 18 man roster that will welcome Lucien Favre’s Schwarzgelben to Leipzig on Saturday evening. The USMNT prodigy will be on familiar turf, even if he is 6’000km further east than he has been before. When the 19-year-old looks around the Cottaweg training facility he will see the same logo emblazoned on the walls and across the advertising surroundings. 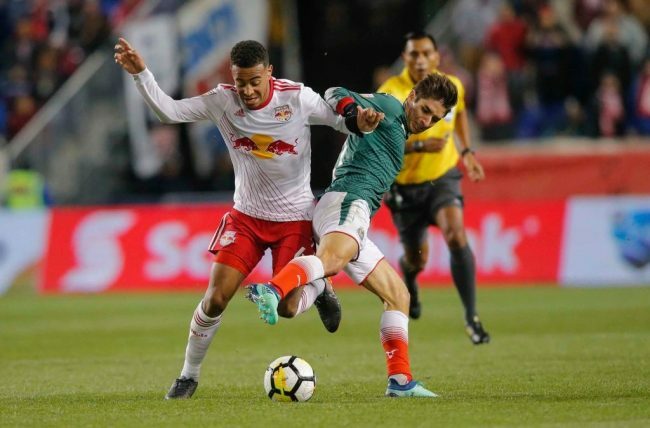 The midfielder will take instructions from ex-NYRB coach Marsch, and he will be adorned in an almost identical training and playing kit to that worn in America. All the ingredients for Leipzig to feel like a home-from-home for the teenager. Adams is also part of a new crop of Americans earning their wage in the Bundesliga. The league is no stranger to USMNT players, but there is now an emerging golden-generation of Stars and Stripes personnel plying their trade on German soil. What perhaps plays into Adams’ ability to settle quickly at Leipzig the most is their playing style. If the logos, personnel and kit aren’t familiar enough for him then the playing style will fit like a glove. Playing a similar brand of football the world over, The Red Bull football factory has a well-used template. Something Fox Soccer commentator, Keith Costigan spoke to the Futbolgrad Network about. He’s a fabulous young player, a high energy midfielder, so in that regard he fits into the style (of play) that Leipzig have built over the last couple of seasons. “He reminds of – and I’m not saying he’s a good as this player – a Paul Ince. Twenty years ago he was considered a defensive midfielder, but he would always try and drive forward from the holding role, playing like a number eight. I think that’s what Tyler tries to do. Maybe it’s unfair to compare him to Naby Keita as Naby had a little more in his locker in terms of creativity in the final third, whereas a lot of that creativity for Tyler is based on winning in a high press situation then playing a simple (but effective) pass forward. He has all the attributes though to add to that (Leipzig) midfield. I think Diego Demme and Kevin Kampl have done a good job together but they just lack a little something, Tyler will give them running from midfield. What I’d like to see from him in the Bundesliga is add to the goals, add to the assists because we didn’t see those in big numbers in the MLS. Having said that he’s an incredible kid and a tremendous talent. I think he’s going to fit in very well at Leipzig”. With a potential first test just over 24 hours away against the league leaders, Adams’ could have a sooner than anticipated start but Rangnick is a developmental coach – he will not want to throw his burgeoning talent straight into the deep end should it not be needed. Fellow American, Christian Pulisic will be in the opposing dugout on Saturday. The Borussia Dortmund midfielder recently agreed €63 million move to Chelsea but will stay in Germany until the summer. Pulisic is the number one USMNT player in the Bundesliga currently, but the arrival of Adams – together with the other strong contingent of Americans in the league – means that when he departs for England in July there will be no gap, no void. Americas’ next megastar might have already arrived.